Check out these amazing Humans, first they helped in Texas, then Florida and now Puerto Rico. Representing WIZO Florida, Goldy Retchkiman and Fuente Latina’s Gloria Garces headed to Puerto Rico today with a camera crew from Telemundoand the Mayor of Miami Beach. 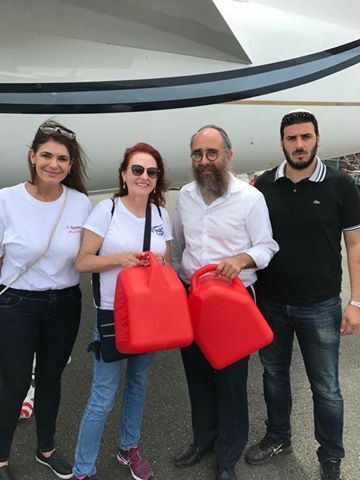 They arrived with tons of aid and essentials to assist the victims and survivors together with Chabad of Puerto Rico. Their goal is to show the vital aid generously contributed by WIZO and the Jewish community to help those desperately in need in Puerto Rico. PREVIOUS POST Previous post: #YomKippur ? ?